Do you want to significantly optimize time and cost savings? While at the same time utilizing one of the most accurate and flexible manufacturing processes there is? Then look no further than laser melting — the perfect solution with our expert team on hand to assist. Learn more about our services! Mounting time and cost pressure on the one hand and ever shorter prototype intervals on the other — not to mention the general trend toward ever increasing complexity: Prospects such as these increasingly shape how companies do business. Across industries. We use superior technology, maximum efficiency and a pronounced service approach to rise to any challenge. It is precisely this combination that makes our range of services synonymous with success and satisfaction. Each industry has its own problems and challenges. 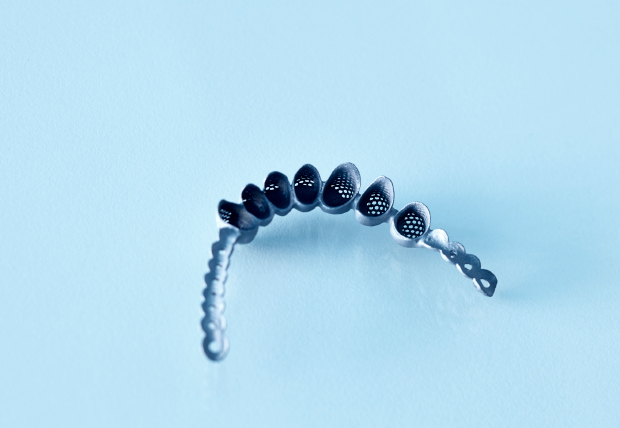 Whether it's a tailor-made dental crown, a precision-manufactured measurement probe for an aircraft engine or a biocompatible spinal implant. Nevertheless there are overlaps, not least in terms of quality or cost-effectiveness. 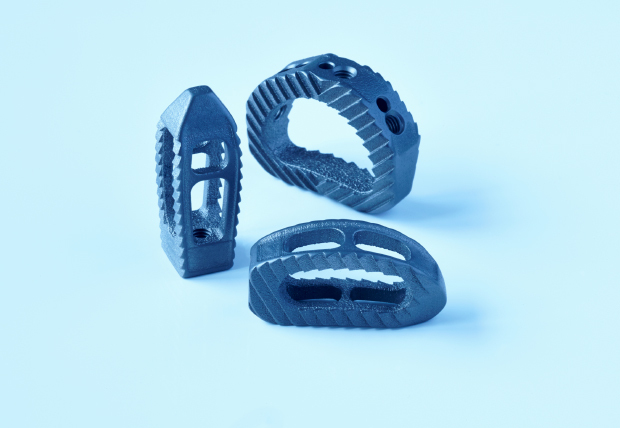 We integrate ourselves into the value chain at these junctures, with state-of-the-art laser technology, comprehensive manufacturing and materials expertise, and a customized service concept that will inspire you. Laser Melting for dental laboratories: high quality, quick, customized. Dental technicians are familiar with the problem: Patients and dentists quite rightly expect top quality, but, at the same time, complex post-processing or restrictions for more complex indications can be tricky. LaserCusing® will cut up to 60% off work steps — while maintaining consistently high quality. Check it out for yourself! 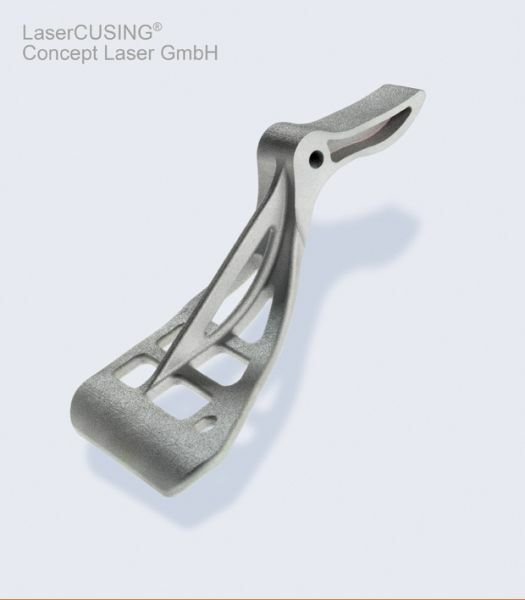 LaserCusing® for medical technology: biocompatible, stable, and reliable. 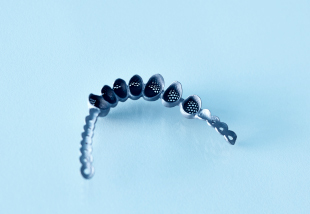 The demands placed on implants are particularly stringent in the sensitive area around the spine. Safety, compatibility, and reliability are paramount. However, efficient and cost-effective production processes also play a factor. Titanium is a material that has been proven time and again and offers an attractive alternative to plastic products. 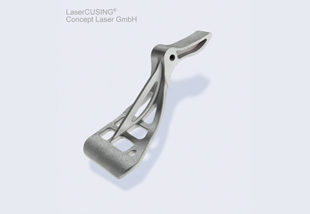 LaserCusing® is our solution for varied industry requirements. From the automotive sector to aerospace, from prototype tools to series components, we have the expertise to meet your needs, with fully automated processes delivering demonstrably high quality on time.